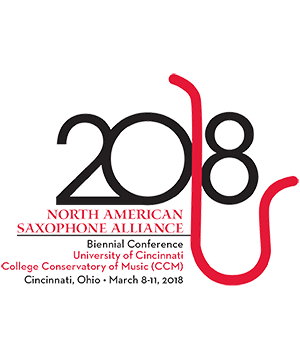 Ensemble Bio: The Red Clay Saxophone Quartet was formed in 2003 when the fates conspired to bring four internationally-recognized saxophonists (Susan Fancher, Robert Faub, Steven Stusek, Mark Engebretson) together in Greensboro, NC. The Quartet champions new works by leading composers, with a special passion for working with young composers. RCSQ’s 10th anniversary CD Red Clay Live! presents music by Russell Peck, Gavin Bryars, Ben Johnston, Mark Engebretson, and Martin Bresnick. Susan Fancher Soprano Saxophone Susan Fancher is known for her deep and poetic musical interpretations. A much sought after per . . .
Robert Faub Alto Saxophone Robert Faub is an accomplished classical soloist, chamber musician, jazz artist and educator. A . . .
Steven Stusek Tenor Saxophone undefined . . .
Mark Engebretson Baritone Saxophone undefined . . .